The church of St James in Silsoe is situated in the centre of the village at the junction of the High Street and the road to Wrest Park. 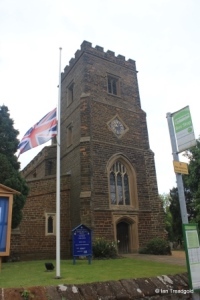 Parking is available on the road outside the church. 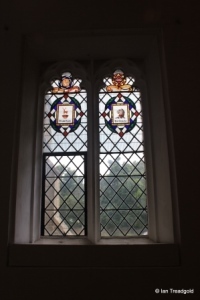 The original church on the site dated from C13 and because Silsoe did not become a parish in its own right until 1846 was a Chapel of Ease attached to nearby Flitton parish. 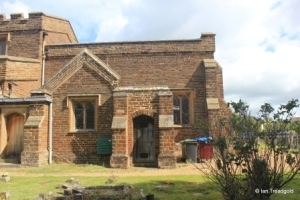 The chapel was similar in layout to the present building but had a large bell turret over the west end of the nave. 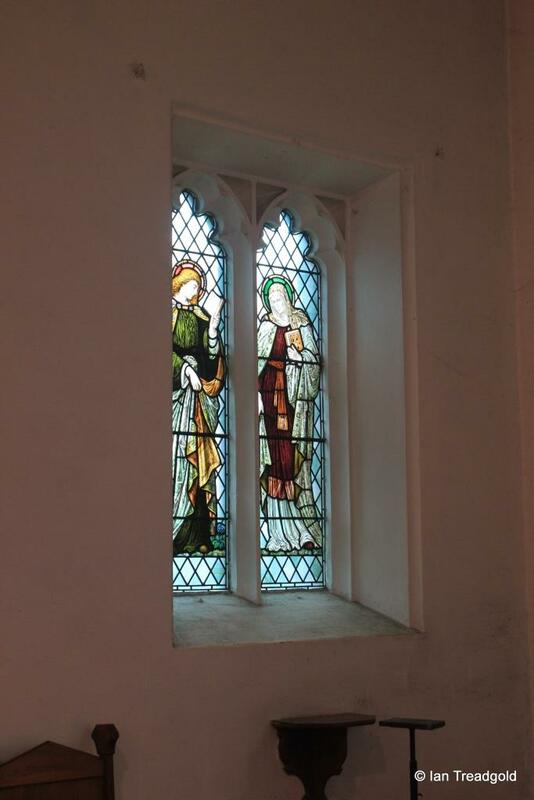 In 1829, building works commenced with the intention of adding a new west tower along with other repairs to the chapel. 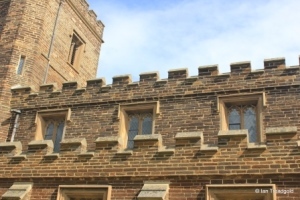 Unfortunately, the tower collapsed when half built during the building works and the decision was taken to build a new church slightly to the east of the site of the chapel. 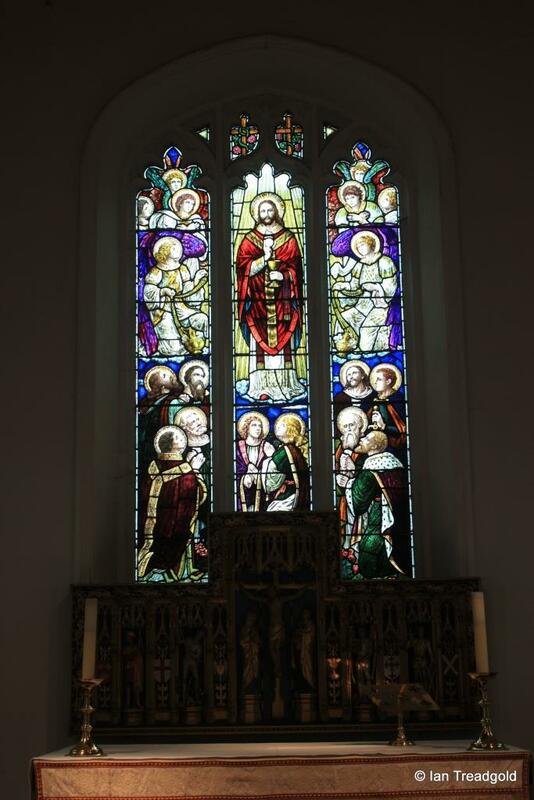 The current church dates from this rebuilding and was designed by Earl de Grey of Wrest Park (then Lord Grantham) and was completed in 1830. 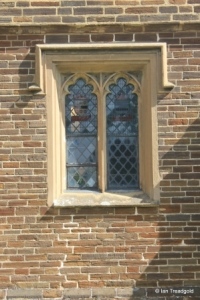 The church is built of local ironstone, quarried from a site within the village. 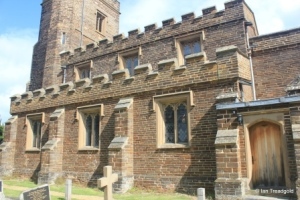 The church consists of a nave and chancel, north and south aisles, west tower and vestry to the south of the chancel. 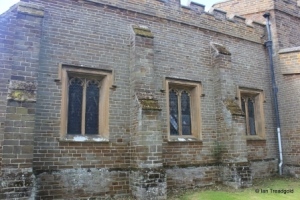 The south aisle consists of three windows to the south with a similar arrangement of windows in the clerestory above. 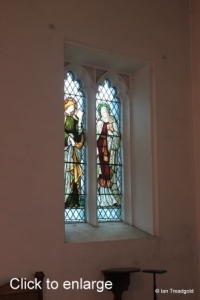 All the aisle and clerestory windows in the church are of the same style being of two cinquefoiled lights under a square head. 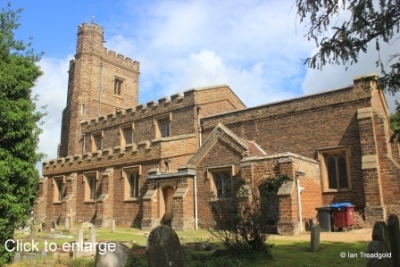 The tower is of three stages and like the nave has an embattled parapet and there is an octagonal stair turret at the south-east corner. 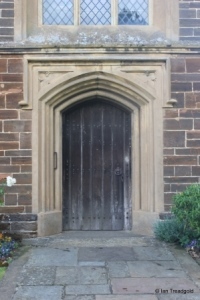 The west door is under a four-centred arch below a square head with trefoil designs in the spandrels. 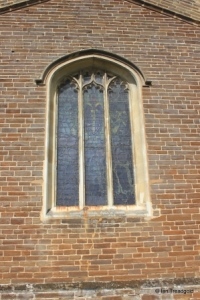 The west window is of three cinquefoiled lights with perpendicular tracery above under a two-centred arch. 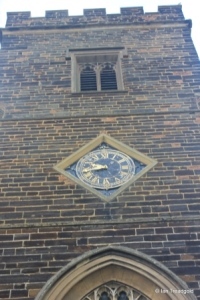 The belfry openings are two light windows under square heads and there is a clock dating from 1909 on the west face in a recessed diamond niche. 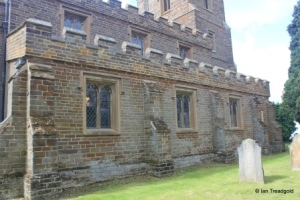 The north aisle is of similar layout to the south with three windows in the aisle and three above in the clerestory. 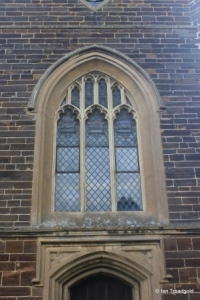 The north side of the chancel has three windows of the same style as the aisles but the chancel windows are slightly taller. 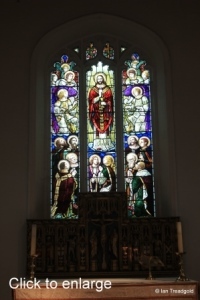 The east window of the church is of three cinquefoiled lights with the centre light unusually being shorter to allow for a little tracery above under a four-centred arch. 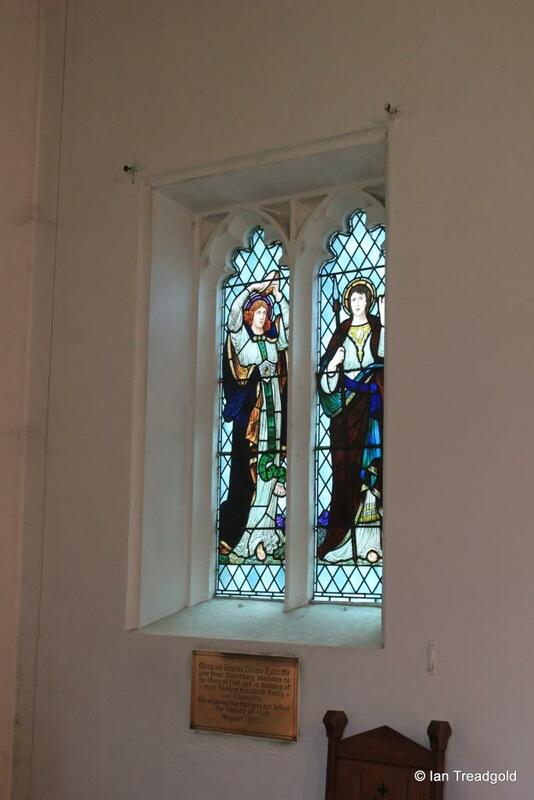 The glass in the window is by Thomas Baillie and dates from 1857. 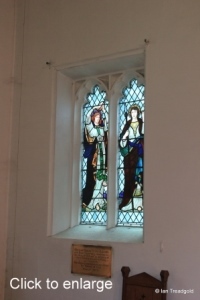 The south side of the chancel is occupied by the vestry. 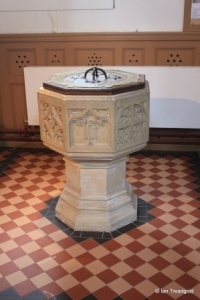 The font dates from 1890. 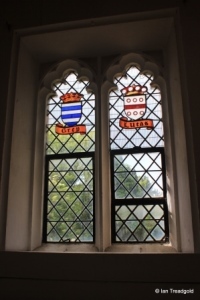 The glass in the six windows in the nave and the two in the chancel were designed at the request of Lord Grantham and depict the arms of the various parts of the extended de Grey family of Wrest Park and other patrons.